The Bad Pool Header Error generally occurs with the error code 0x00000019. The reasons you are getting this error could be drivers although antivirus/antispyware/security programs and other hardware are also probable causes. Updating the major drivers and BIOS would be the best plan of attack. The most common cause of this error is corrupt or outdated drivers. 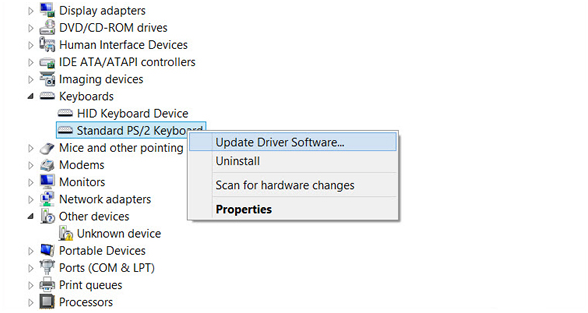 The device drivers may become misconfigured, corrupt or outdated. That may also happen after a Windows update or a Windows downgrade from a newer system to an older one. Sometimes, certain brands of anti-malware software can corrupt the system memory, making this error to appear. Sometimes this error is caused due to a faulty RAM module which periodically gives read/write errors. If that’s the case, then it is advisable to scan the system memory and replace the faulty RAM module. Sometimes anti-malware software, like Malware Bytes, can be the main cause of this error. Uninstall any anti-malware software running on your computer and then restart your computer. Have you recently change RAM or upgraded any memory related stuff. Many times, the memory problem is also the reason for this error. 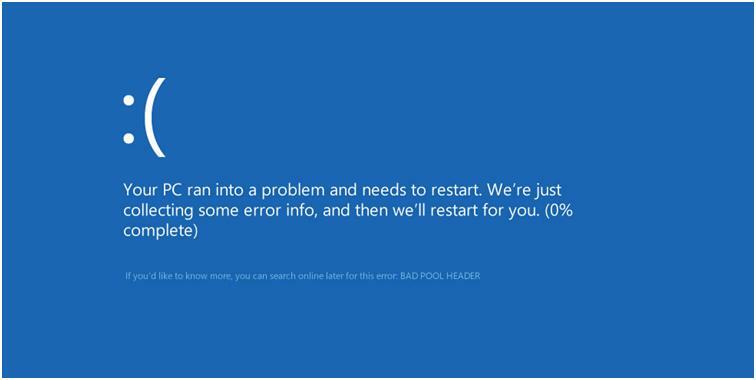 So, figure out the memory problems to fix the BAD POOL HEADER BSOD error is the way. There you will find Windows Memory Diagnostic. Select “Restart now and check for problems (Recommended)”. Now windows will automatically detect the memory related problems if exist. If you recently made any RAM upgrade, revert the change and restart the system. In most cases, it will solve the problem without hassle. Click next then you might see the following screen. 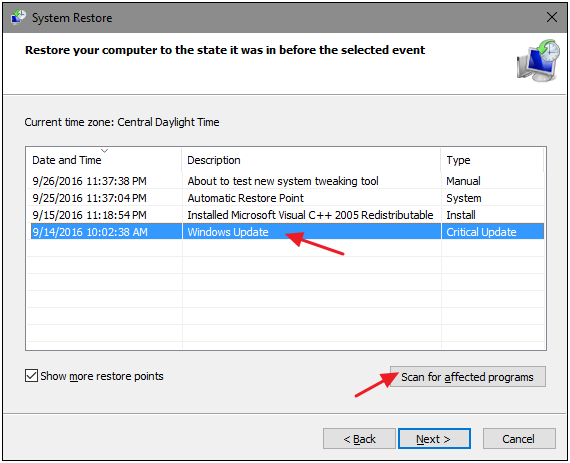 Select a restore point produced prior to the error occurred. You can distinguish the created Date and Time. Click next to continue and follow the on-screen instructions to complete the restore.